Nathalie Louisgrand est enseignante-chercheuse à Grenoble Ecole de Management (GEM). Elle a fait sa thèse sur le transfert de la gastronomie française en Chine à travers le cas du restaurant-école Institut Paul Bocuse de Shanghai. Ses recherches portent sur la Haute gastronomie, les carrières des chefs et des maîtres d'hôtel, le transfert international de savoir-faire dans la Haute cuisine (artisanat de luxe). 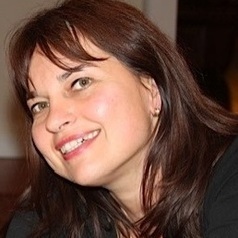 Nathalie Louisgrand, PhD, is Assistant Professor at Grenoble EM. Nathalie's research focuses on knowledge transfer specifically within the domain of French Haute Cuisine. Her doctoral thesis added new theoretical and empirical light to the transmission of gastronomic competences and knowledge within an intercultural context (most notably in China). It also gave fresh insights into the management of boundaryless careers in the hospitality industry. Her fieldwork was conducted at the Institut Paul Bocuse, one of France’s most prestigious restaurant schools.